A puzzle piece... What is it? Frame width a little under 2 mm. The first thing that sprung to mind: an autumn leaf, but at this scale...? 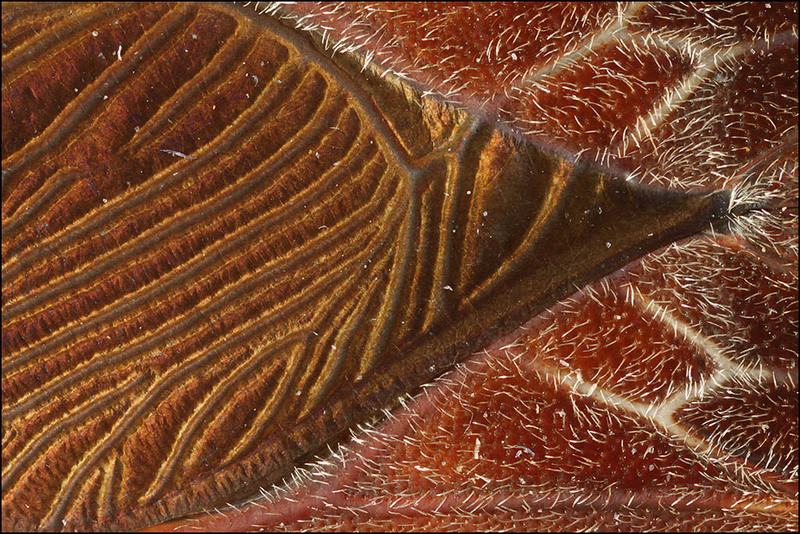 Wing veins of an insect; not sure which...possibly a leafhopper of some sort? I am going to say wing. Not sure what kind either. I would expect it to be transparent. Posted: Tue Sep 20, 2011 6:18 pm Post subject: Grasshopper wing? I went to my bone yard and looked over various wings. My first thought was that it was a mantis wing. Nope... my praying mantis wing is about the right color but too transparent. Second thought is that it is a grasshopper wing. It is the closest texture and transparency. So I am guessing it is a grasshopper wing. 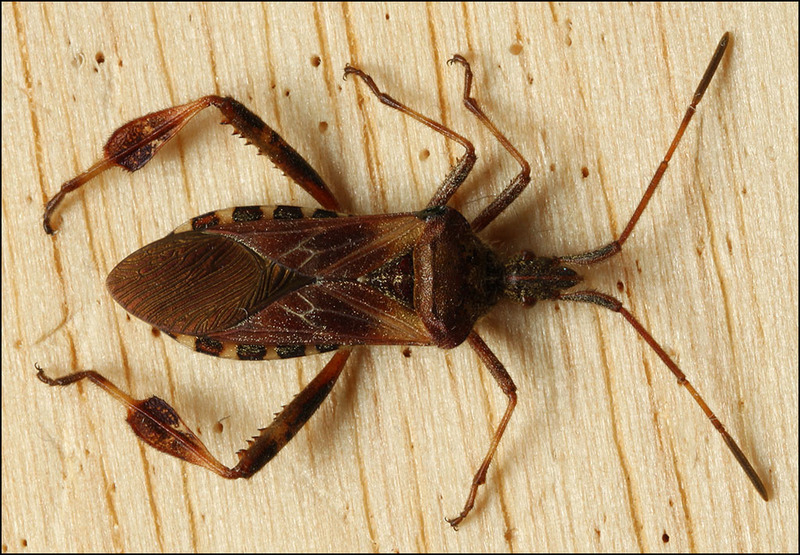 Back of a "true bug" like Pentatomidae (Stink Bugs)? Could it be a non-insect, non animal? We need some more clues, Rik. Are we at the right track? Part of an insect's sound producing organ, perhaps that of a true bug? Gosh, I was feeling bad about giving away "Frame width a little under 2 mm"! It's a wing, but only roughly any of the wings mentioned so far. Assuming the width has not been cropped.... a frame width of 2mm would indicate approximately 10X magnification? 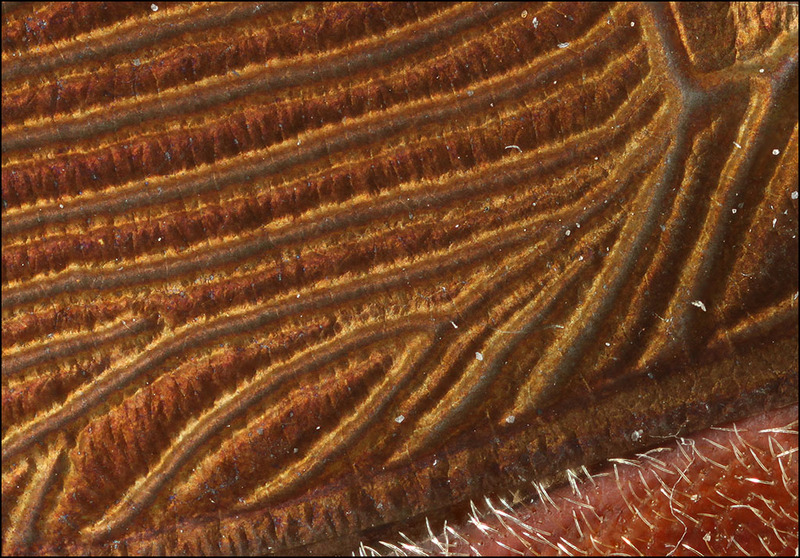 Membrane of the hemelytron of a Leptoglossus occidentalis that mistakenly wandered into the Littlefield home in search of a hibernating site. EDIT: As this bug appears to be associated with the Yellow-shafted Flicker feather I now believe this bug did not wander into the Littlefield home in WA. The feather is eastern, so bug collected while Rik was on vacation away from home; somewhat casual camera setup is also suggestive. NU, your analysis is worthy of Sherlock Holmes! All images except the last are from the same stack -- MP-E 65 at 4X, f/4, focus step 0.037 mm, flash through a paper towel cylinder. The last one is a single frame at f/16 using Canon 100 mm macro lens, cloudy daylight. Charles Krebs' guess was close enough that I had to hedge my response: "but only roughly any of the wings mentioned so far". Many thanks to everyone for contributing to this round of What Is That Thing, Anyway? 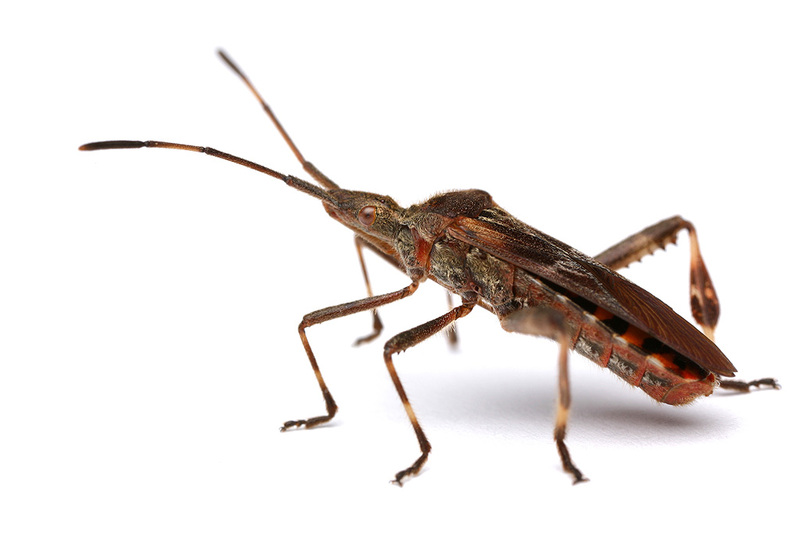 This species is introduced to Europe in the 2000's, since then is expanding dinamically. Aaarrrgghhh! That's exactly the insect I was thinking about. I actually photographed that exact "pattern" not too long ago, but never posted the image!